Ho Chi Minh city puts on another face at nightfall and switches into a completely different gear. The bustling metropolis is famed for hand-working people, but come the evening, and you can find many of those same city slickers seeking out some equally-as-hard playing time out on the town. There are many activities to keep you occupied during the night as the day, admittedly many of them aimed at the hedonist, but selected below are a wide range of nightlife hotspots and cultural pursuits. 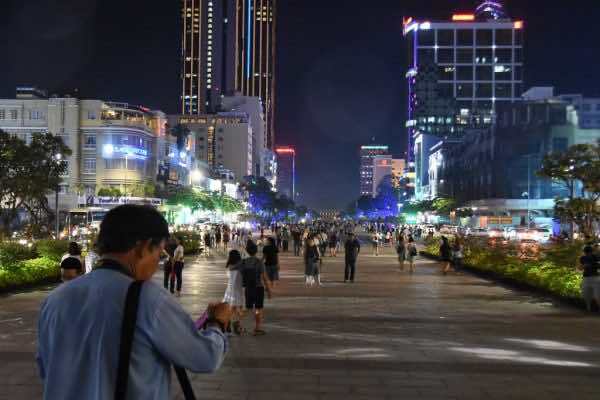 Saigon has long been a center of entertainment with a system of restaurants, hotels, clubs, and bars serving different types of drinks and authentic foods. you can come here to enjoy a drink, throw a party and relax yourself in the vibrant dance and music to forget all the troubles, escape from the hectic work. Ranging from the hidden pubs to the dynamic rooftop bars, you will find a good place to experience the nightlife in Saigon. 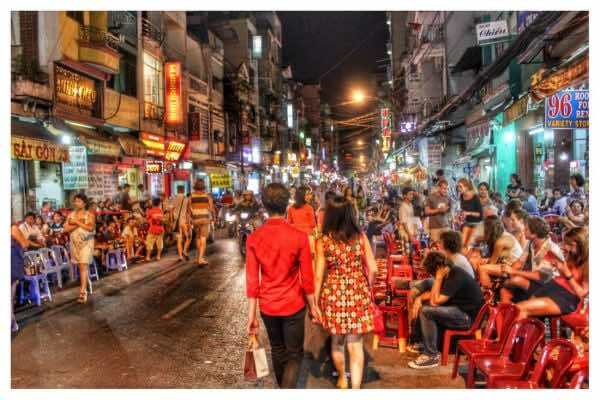 The Pham Ngu Lao- Bui Vien- De Tham area in Ho Chi Minh City is known as the ‘backpacker district’ where most backpacking travelerers stay during their holiday, made up of two parrarel streets, Bui Vien and Pham Ngu Lao. Lots of services ranging from hospitality, tourism, bars and restaurants are established to meet the demand of all kinds of visitors. Bars around The Pham Ngu Lao- Bui Vien- De Tham are easy to find, at almost every corner. 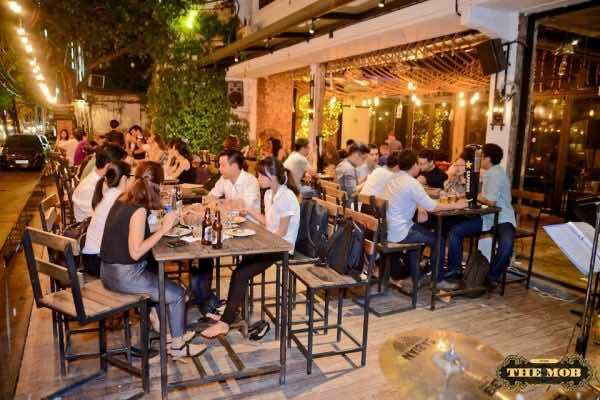 The most famous Pham Ngu Lao bars offer a great deal of local beers and atmosphere: Allez Boo bar, Crazy Buffalo Bar, Go2 Bar. This is often seen as a favorite place for younsters when thety are immersed in the excitement of a dance club or a bar. You will have chance to experience ‘the-never-sleeping-city’ and observe the vibrant. Why don’t you rest yourself after satisfying your thirst for adventure after a long day by enjoy live music at some cafes, hearing someone perform their music in front of a live audience is so much better than just listening to them on your phone or computer. 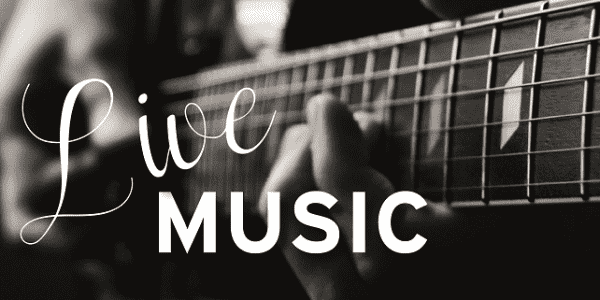 Ranging from acoustic jazz, rock, or some other genre, you can always something to meet your music taste. Eating delicious food is always enjoyable, but staying out and eating late at night in Ho Chi Minh City is a special experience that is sure to create memories that will last. Saigon is studded with brightly colored night food stands left and right. These street bazaars, which mostly unfold after the sun goes down. 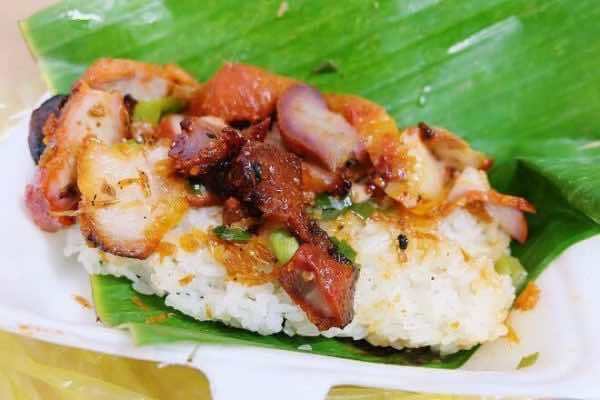 With hundreds of street food options to choose from, it would be a complete bummer to end your stay without a belly-bursting food street. Bánh mì Huỳnh Hoa, 26 Le Thi Rieng, District 1. The sandwiches here are made to order, stuffed with as many as nine layers of cold cuts, and slathered liberally with pate. Broken Rice Ba Muoi at 294/35 Xo Viet Nghe Tinh Street, Ward 21, Binh Thanh District. Oyster fried with eggs at 128 Phung Hung Street, District 5. Undoubtedly, Saigon is always moving and dynamic. This city of teeming intersections and packed roadways is no less bustling after dark. Do not blame us if you get hooked, and your time in Ho Chi Minh City streches no longer than expected… It is impossible not to fall for the atmosphere of a night out in Ho Chi Minh City.